Potassium is an essential mineral for our body. ​And there a number of foods high in potassium that could help you get your daily required value of potassium. How does this help our body work normally? What if we have either low or high level of potassium? ​It contributes to the proper functioning of the cells, tissues, and the organs in our body. This mineral is very significant to the human heart and is vital in the smooth muscle and skeletal contraction, which is important for proper muscle as well as digestive function. 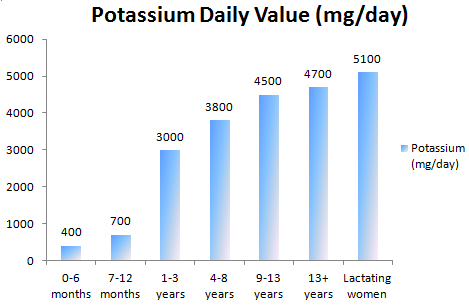 How much potassium do we need ? What is the normal level of potassium in our blood? The normal potassium level in blood should be 3.5-5 milliequivalents per liter. However, this range may slightly vary from lab to lab. Therefore, please consult your testing lab for normal levels of potassium. What if you have low levels of potassium? When the bloodstream has low levels of potassium, it will result to hypokalemia. These symptoms may be due to other health conditions, and therefore it is advised to consult to a health care provider. What if your potassium level is high? When the potassium level in the blood stream is more than 5 milliequivalents per liter, this is called hyperkalemia. It can make a huge difference if you are aware of what can help your body to function well and what can disrupt it. Potassium plays a vital role in your body, and can be lethal at the same time if you don’t know how to balance it. It will make a huge difference if you pay attention to what your body needs. Following a healthy diet is a great way of preventing your body from suffering an illness. 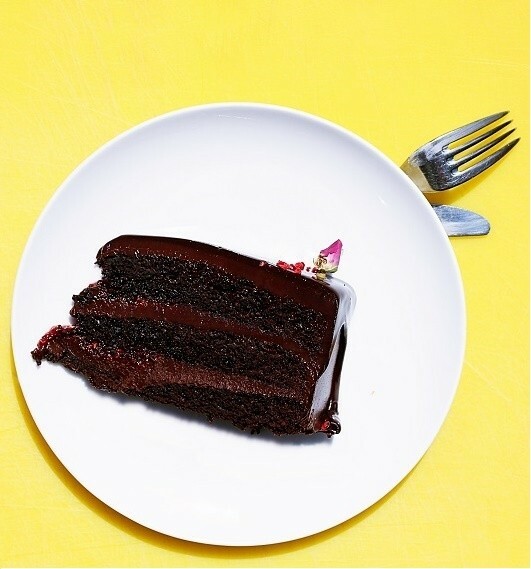 There are many types of foods that contain potassium. You’d be surprised at how easy it is to get this mineral.You might have heard that banana is a great source of potassium, but there are many foods that have even more potassium than bananas. The daily values are for each 100 grams of serving. Pistachio nuts are not only loaded with potassium, but also they have calcium, iron, zinc, folate, vitamin B6, Tocopherol, as well as vitamin K in good amounts. With a good amount of potassium, fenugreek seeds also add protein, iron as well dietary fiber to our diet. Along with a good taste and good potassium level. Roasted peanuts are high in protein, niacin, vitamin E, folate as well as pantothenic Acid. With its delicious taste and high potassium values, they are also a good source of iron, zinc, calcium and vitamin K.
Along with a good source of potassium, they are also rich in protein, vitamin E, riboflavin, calcium, iron as well as in zinc. The other nutrients along with potassium are vitamin A, vitamin C, vitamin K, folate as well as calcium and iron. A baked potato with 100 grams of serving has good amounts of vitamin C, vitamin B6, folate, and iron. Avocados are highly nutritious. This is the reason they are also called as earth’s superfoods. A 100 grams of serving has 7 grams of fiber, 81 mcg of folate, 21 mcg of vitamin K, 10 mg of vitamin C.
With good amounts of fiber, they also add up vitamin C, folate, copper as well as vitamin A to a healthy diet. Add up high values of protein, thiamine, folate, vitamin B6 as well as calcium and iron to your diet with only 100 grams of walnuts. A 100 grams serving of cooked or roasted mutton provides 33.4 grams of protein (67% DV), 18% riboflavin, 33% niacin, 19% vitamin B6, 72 % vitamin B12, and 26% iron. Along with good numbers of potassium in 100 grams of serving, it has thiamine, niacin, vitamin B6, vitamin B12, and pantothenic acid to add to your diet. You may not like the taste of a raw banana, but it is highly nutritious. With 10% DV of potassium, it has good values of vitamin C, vitamin B6, and fiber. With 326 mg of potassium for every 100 grams of serving , it also adds up 31% of DV of vitamin C to our diet. With 9% DV of potassium, raw beets are also a good source of folate, manganese, fiber and vitamin C.
When it comes to nutritions, the raw white mushrooms can’t be ignored. With a good amount of potassium, they also have vitamin C, D, riboflavin, niacin, pantothenic acid and copper. Raw broccoli has a little every nutrition our body needs for proper functioning. The surprising thing is that only a 100 gram serving of it has more than 100% DV of vitamin C.
Raw cauliflower is also a rich source of dietary fiber, vitamin C, vitamin K, vitamin B6, and folate. With their delicious taste, they also fill up with dietary fiber, potassium, vitamin A, vitamin K, vitamin B6, calcium, iron, and manganese. Raw pumpkins like raw carrots are a good source of vitamin A along with other body essential nutrients like vitamin C, vitamin E, folate, and potassium. Potassium is highly important for a healthy body. It is a matter of concern when its values go up or go down the required amounts. But, the good thing is that you can easily get a good amount of potassium in your diet if you eat more fruits and vegetables.